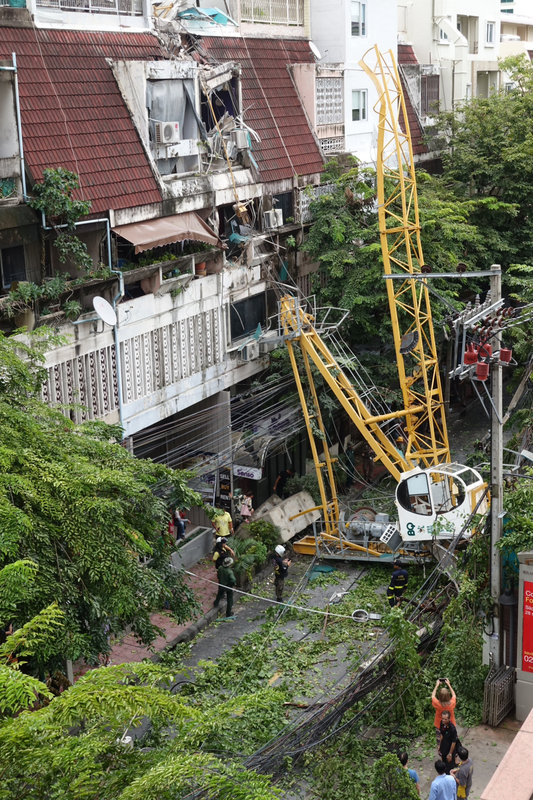 A woman was injured on Friday morning when a construction crane toppled onto a power pole which fell onto her car on Soi Saldaeng 2 in Bangkok's Bang Rak district. The accident happened at 9.25am. 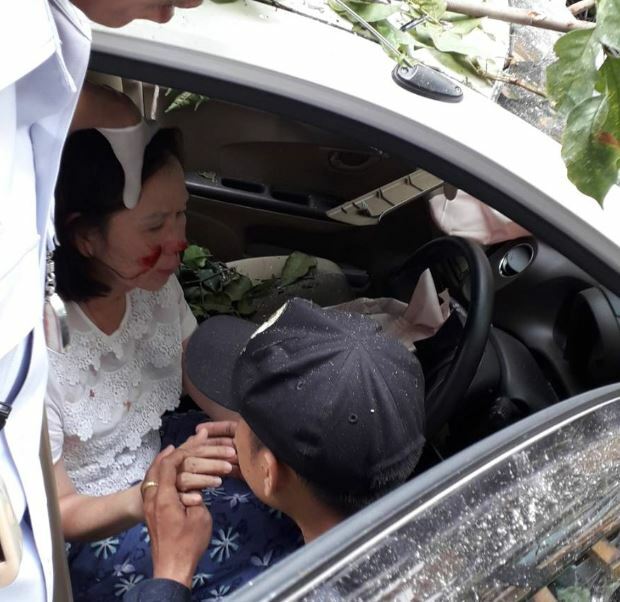 Rescuers had wait until the Metropolitan Electricity Authority cut off the power before they could free the woman from her car and take her to a hospital.